Of the various impressions made on the English man of letters Joseph Addison during a 1702 visit to a Freiburg monastery, one that lingered longest was the delight its inmates took in eating snails. A thick ragout they would prepare into which they would toss these creatures by the dozen. A great wooden box called an escargotiere ensured a reliable supply, its interior lined with greens in which nestled snails often as large as a child’s fist. “I do not remember to have met with any thing of the same in other countries,” Addison wrote in reference to this ingenious contrivance. In these boxes the snails reposed and ate, ate and reposed, until such time as the cook came and shook out a hundred or two of them for supper. On the supposed uniqueness of the Freiburg monks’escargotieres Addison proves an unreliable source; one could find versions in Brunswick, Silesia, Copenhagen and other locales. Their design varied by region. The people of Barrois used staved in casks covered with netting. The snails of Lorraine endured a somewhat more picturesque imprisonment: a quiet garden corner stuffed with leafy matter and encased in fine trellis-work. The earthier escargotieres of Dijon consisted of trenches dug by vine growers. Into these they dumped leaves, then snails, and then more leaves before topping everything off with few spadefuls of earth. Voralbergers, who combined gastronomy with good husbandry, preferred their snails free-range. Children made a game of searching farmers’ fields for the tasty pests, which they plucked from lettuce leaves and cornstalks in a bid to see how many they could contribute to the town escargotiere, usually a large plot of land encircled by a moat. These summer games yielded a great harvest: The enclosures contained often some 30,000 snails fattened on cabbage leaves and kept damp by twigs of mountain pine and small clumps of moss. How snail aficionados, or heliciculturists, cooked their snails varied as much as how they kept them. Some stuffed them with forcemeat, while others steamed them with rice or boiled them in the shell before slathering them with drawn butter and sprinkling them with parsley. Whatever the method, simplicity ruled; snails were typically eaten during Lent. Indeed, a dish of these shelled savories traditionally marked the end of Carnival in Canderan, a town near Bordeaux. What the snail growers didn’t sell they shipped off to convents and monasteries. What the monasteries didn’t eat, they gave to the poor. The “hero who carries his house on his back,” as Hesiod called the snail, could expect life to describe an odyssey that, no matter the length, arrived at the same destination — the plate of some hungry soul. Should you like to dish up some mollusks of your own then try this recipe from The Edible Mollusks of Great Britain and Ireland (1867). 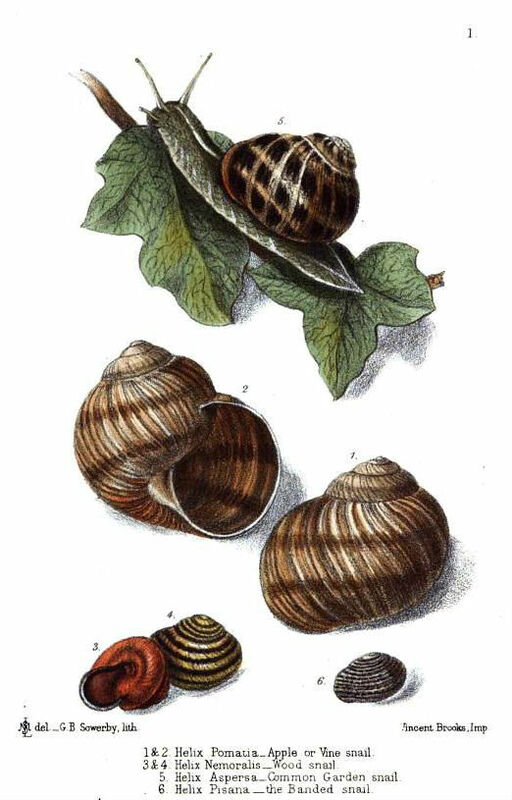 Ragoût of Snails — Guisado de Caracoles.–Soak the snails in salt water, then wash them in two or three waters; take thyme, marjoram, bay-leaves, and salt, and fry them with chopped onions in butter or oil; boil the snails, and take them out of their shells, or, if you prefer it, put them, shells and all, into the butter, and fry them. Let them be served as follows: — Soak a piece of bread in vinegar and water, and pound it in a mortar with a clove of garlic, a little pepper, salt, parsley, and mint, chopped very find; add oil drop by drop, turning the pestle all the time till it is quite a smooth paste, and place it round the dish, putting the snails in the centre. Only the pause of a train in their sleepy station lured the inhabitants of Woodend, Australia from their homes to consider the faces of passengers en route to larger cities. Not that Woodend lacked attractions; quite the contrary. Standing some 1,850 feet above sea level, the town enjoyed a climate moderate enough to recommend it as an attractive summer destination. Its eucalyptus forests hid within them health resorts and mineral springs. Its rich volcanic soil, the color of chocolate, made it a thriving agricultural district that trafficked in root vegetables, raspberries and currants. Its winds, which blew wholesome and tranquil, cooled those travelers disembarking at Woodend to eat, rest and recover their nerves. 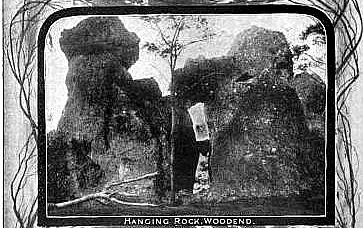 Many also came to see an unusual prehistoric landmark, Hanging Rock. It sits five miles outside of town and rises 400 feet above the surrounding countryside. Narrow paths winding along slanted sides bring intrepid climbers to a flat summit strewn with huge boulders bearing such names as Whale’s Mouth and Alligator’s Jaw. The summit affords an excellent view of the rich farmsteads stretching toward distant towns, which no doubt explains why picnicking among the megaliths remains a favorite way of beguiling a lazy summer Sunday. 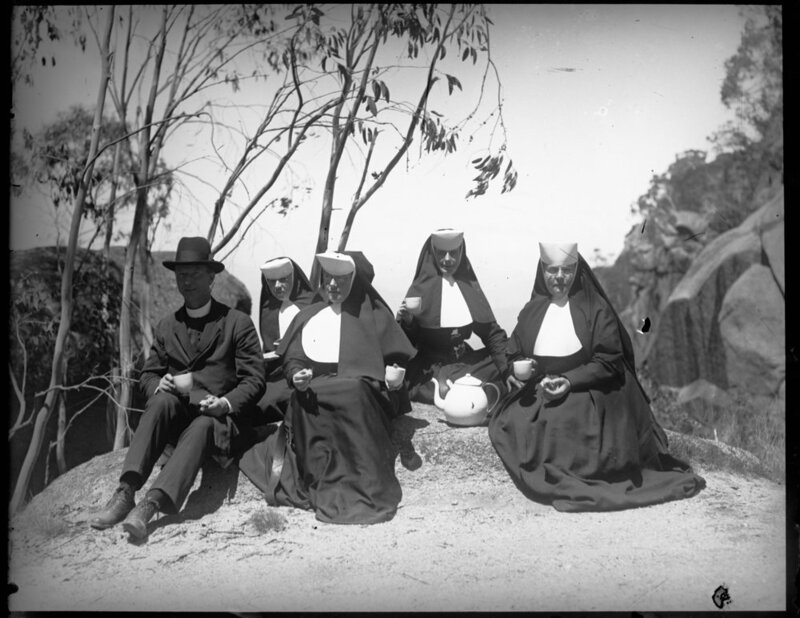 One such outing serves as the subject of Joan Lindsay’s 1967 novel, The Picnic at Hanging Rock. A group of girls from exclusive Appleyard College take a trip to this famous formation on the afternoon of Valentine’s Day, 1900. There they nibble sandwiches and sunbathe. After lunch, four of the girls ask to go exploring. Granted permission, they wander off. A few hours later, only one of them returns. Hysterical and dumbstruck, she cannot recall what befell her friends, who have seemingly vanished without a trace. And so the mystery begins…. To discover what happened to those inquisitive young ladies that bright February afternoon, you’ll have to read Lindsay’s book – which you can enjoy with a slice of parrot pie prepared according to a recipe in The Book of Household Management (1888). This Australian picnic dish does equally well without its main ingredient. beef is best for this purpose), 4 rashers of bacon, 3 hard-boiled eggs, minced parsley and lemon-peel, pepper and salt, stock, puff-paste. Mode.—Line a pie-dish with the beef cut into slices, over them place 6 of the paraqueets, dredge with flour, fill up the spaces with the egg cut in slices and scatter over the seasoning. Next put the bacon, cut in small strips, then the beef, seasoning all well. Pour in 6 paraqueets and fill up with stock or water to nearly fill the dish, cover with puff-paste, and bake for 1 hour.